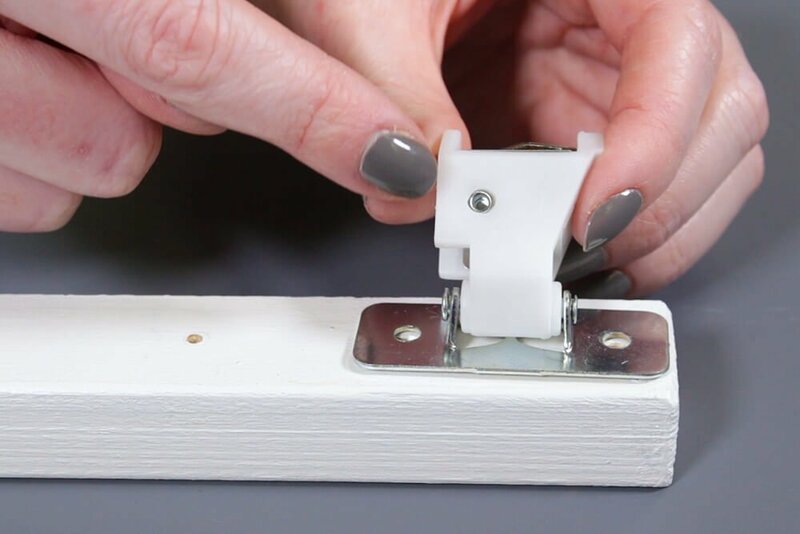 Cord locks are used for blinds, roman shades, and similar window treatments. 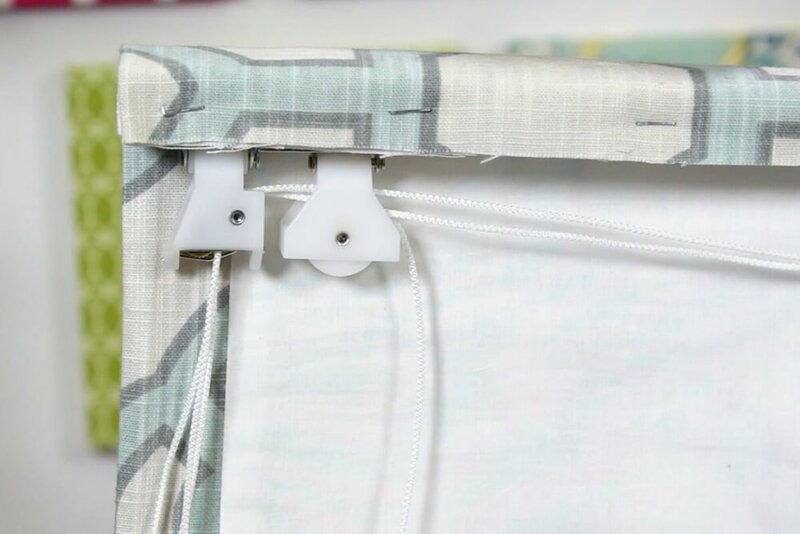 They’re used to easily open and close the shade by gripping and releasing the cords, perfect for roman shades (like this one). They come in several sizes depending on how many cords will be strung through. The 3 cord lock works for 1 to 3 cords, and the 5 cord lock is best for 4 or 5 cords. 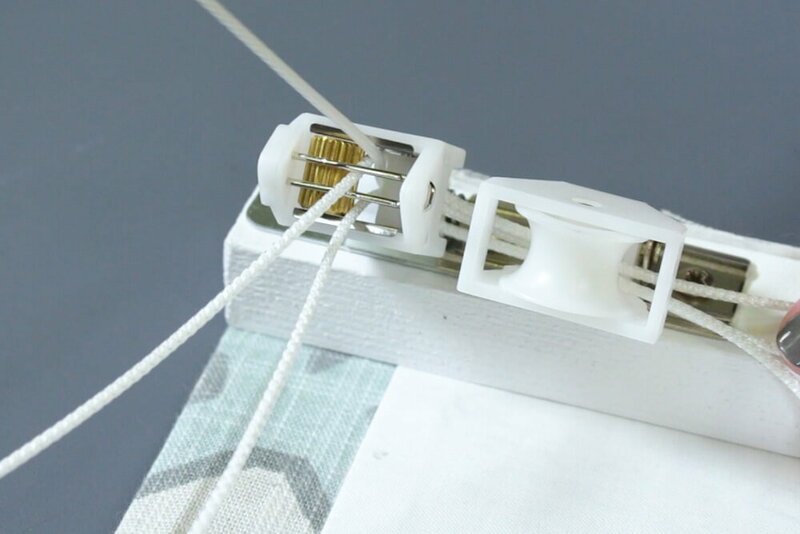 First attach the cord lock to the board or window frame. Place the cord lock at the end of the board. Make sure it’s facing the right direction. On this lock, the straight side should be facing in. Mark the holes. If you’re using pulleys, you can overlap one of the pulleys with the cord lock. 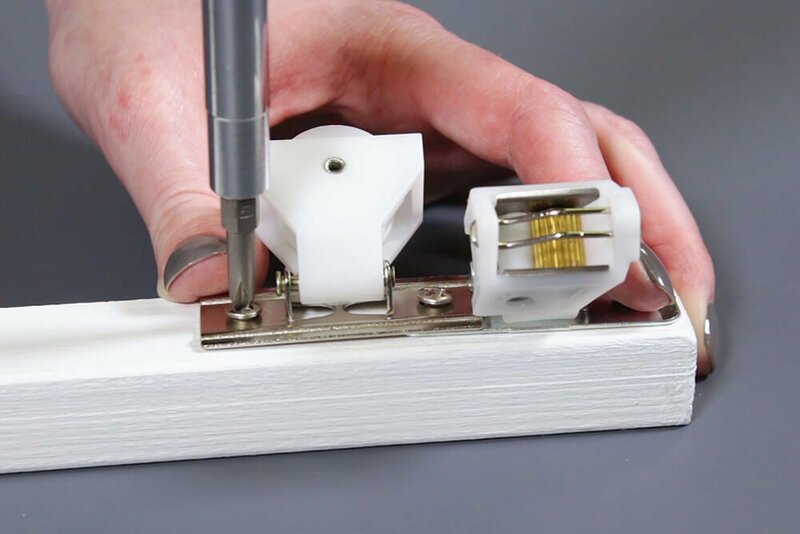 Drill pilot holes at each of the marks and screw the cord lock in place. 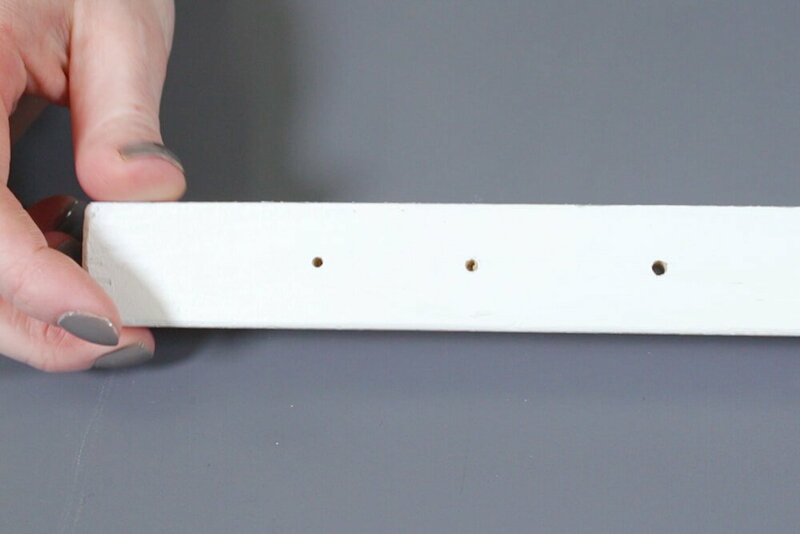 You can use any screws that are an appropriate length for your project as long as the head is larger than the holes on the cord lock base. The cords go between the attached roller and the loose roller. Tilt the cord lock so the loose roller is away from the other, creating a gap. Thread one cord through the gap and through one of the slots at the bottom. Do the same for the other cords so they each go through a different slot. 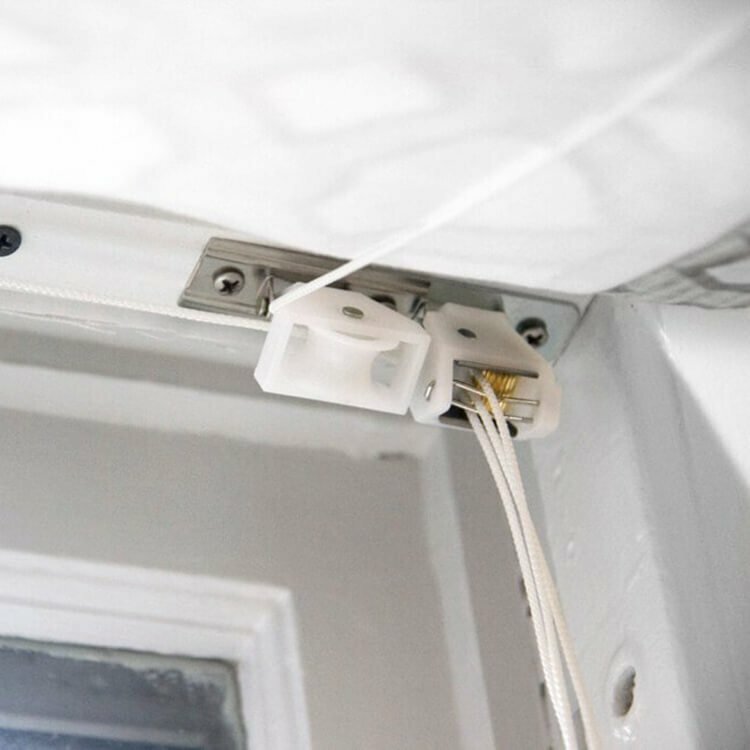 Once installed, open the shade by pulling down on the cord. Lock the cord in place by pulling the cord to the left or right. To lower the shade, pull to the left or right to release the cord. 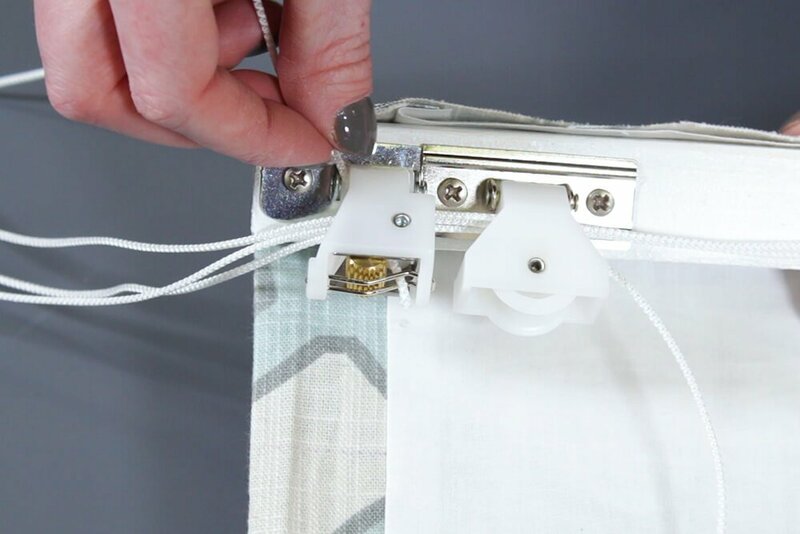 See our roman shade tutorial for complete details on making this shade. Find more OFS tutorials here. Can you you use a three thread cord lock for four threads?